The Producers Guild of America has announced its nominations for excellence in movies and television, keeping things interesting for the upcoming awards season. Although odds-on Oscar favorites like "The Artist," "The Help," "Hugo" and "War Horse" are included in the Producers Guild's list, other expected contenders like "The Tree of Life" and "Extremely Loud and Incredibly Close" are nowhere to be found. And I have to admit, I'm really surprised to see the likes of "Bridesmaids" make the cut. In motion pictures, the nominees for the Darryl F. Zanuck Producer of the Year Award are: "The Artist," "Bridesmaids," "The Descendants," "The Girl with the Dragon Tattoo," "The Help," "Hugo," "The Ides of March," Midnight in Paris," "Moneyball" and "War Horse." The nominees in the Animated Feature category are "The Adventures of TinTin," "Cars 2," "Kung Fu Panda 2," "Puss in Boots" and "Rango." "Downton Abbey" (broadcast on PBS) is one of the nominees for the David L. Wolper Producer of the Year Award in Long-Form Television (which means mini-series or TV movies-of-the-week) along with "Cinema Verite," "Mildred Pierce" and "Too Big to Fail" on HBO and "The Kennedys" on ReelzChannel. For the Danny Thomas Producer of the Year Award in Episodic Television, Comedy, the nominees are "30 Rock” and "Parks and Recreation” on NBC, "The Big Bang Theory" on CBS, "Glee" on Fox and "Modern Family" on ABC. And for the Norman Felton Award for Outstanding Producer of Episodic Television, Drama, the nominees are "Boardwalk Empire” and "Game of Thrones" on HBO, "Dexter" on Showtime, "Mad Men" on AMC and the lone network choice -- "The Good Wife" on CBS. 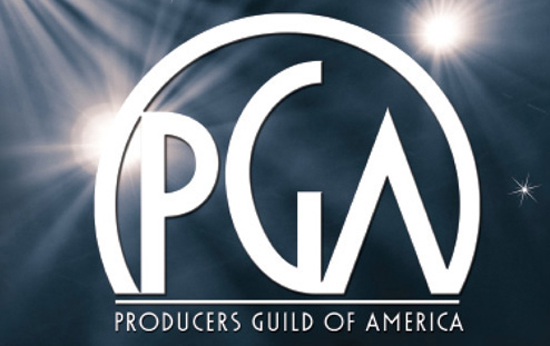 The winners of the 2012 Producers Guild Awards will be announced on January 21st at the ceremony at the Beverly Hilton Hotel.